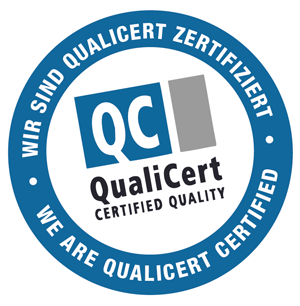 We have a strong team of expert trainers who have all completed our Qualicert certified YourCityBootCamp training. Each of our trainers has their own workout style and will always challenge you again and again. No training is like the other. Heated rooms, machines and nervous music? Come on - I´d rather go for lake boardwalks, view at the beautiful Rigi mountain, streets, steel and hear the wind blow. That´s one of the reasons why I decided to be part of the Your City Bootcamp family - and I want to share this experience with you. Her enthusiastic and motivating way of training will help you achieving your fitness and health objectives. With a customized bootcamp workout, Leonie will get your lungs pumping and your legs burning. Her workout will increase your fitness and flexibility, tone muscles and increase your body awareness. Since 2016 I lead and accompany bootcamps for YourCityBootcamp and love to train my groups outdoor in the urban environment. It's easier and more motivating to reach targets within a group than all by yourself. My principle of training is: Safety for my group, correct performance, balanced and various training. Such as cardio, strength, speed and coordination, stability, balance, etc. And it has to be fun - the only way to be effective. I am always happy about new entries and love passing on my passion. I love the variety of sports, from jogging, mountain biking, cross country and boot camp to obstacle race (Spartan Race). I leave no stone unturned. Main point: fresh air! Train individually, but feel the group dynamic - then you are at the right place with YourCityBootCamp! I know what it’s like to spend hours in the office, to work hard and only get up to go to the printer or racing from one business meeting to the other. Thus, it is all the more important to clear one’s mind and shape the body with an intense and effective workout! With Nicola you not only strenghten your muscles and endurance but also your wellbeing as well as your immune system. Fresh air, the sun in your face, a view of the lake: I love being in nature. And I also love sport. Being able to combine these two passions is why I like Bootcamps so much. I think training in a group is very exciting and effective, as we can constantly motivate and push each other to our limits. Due to the intense and effective total body workout in the fresh air, we will bing your fitness and strength during interval trainings up to the next level. Get Motivated - I am looking forward to seeing you! Wouldn't you just love to do your work-outs outside? In beautiful Zurich? I do! With a small group of truly nice and fun people? Well, what are you waiting for? Training outdoors and using the infrastructure of the surrounding area is what I love so much about bootcamp training. I like to create new routes and exercises and to challenge my training group with a varied workout. With a full body workout alternating between strength and endurance exercises, I get your circulation going and your muscles burning. So put on your running shoes and off we go. Because after all, no cake is no solution either. You want your hobby your profession? Become SwissCityBootCamp trainer in your neighborhood.